Starting a business can be an intimidating experience. You believe in yourself and your business idea, but you are not sure what type of business you actually need, or how to go about getting it started. It is usually wise to form your business in a manner that will protect your personal assets from the risk and liabilities associated with your new business. 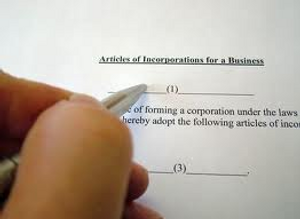 Corporations, Limited Liability Companies (L.L.C. ), and other business arrangements each have various functions that are designed to do just that, however some business types may be better suited for your particular business plans than others. Making the correct decision at the start can ensure that your new business gets off on the right track. Don't trust the well-being of your business to an online legal service. With the assistance of an experienced attorney, forming an L.L.C. or Corporation is easier than you think - and will offer you the peace of mind you need in beginning this new business venture. Call Matthew J. Hornsby now at (205) 856-1000 or email at matthornsbylaw@gmail.com for a free consultation regarding your business formation matter.